Ireland’s International Festival of Photography & Image Culture. Vibrant, friendly, all-inclusive: a festival for all to enjoy. PhotoIreland Festival is Ireland’s first international festival of Photography and Image Culture, and the only festival dedicated to Photography in Ireland. It celebrates Ireland’s photographic talents – oftentimes only recognised abroad – as well as bringing international practitioners and artists to Ireland. The festival highlights, promotes and elevates Photography in Ireland – conferring on it the importance it duly deserves. Celebrating its first edition in 2010, the PhotoIreland Festival became Ireland’s first international festival of Photography and Image Culture. With the motto “vibrant, friendly, all-inclusive: a festival for all to enjoy”, we set out to raise awareness on local and international photographers and artists working with Photography, and to underline the work of those organisations and individuals that for years have been promoting an engagement with the medium. The festival is celebrated every year in July, highlighting through a proposed programme, the works of national and international artists. The event brings together the energies of a wide range of artists, galleries and cultural institutions in a celebration of Photography, with many participative events for all types of audiences. Over the last three years, the festival has been taking place in more than 40 locations around Dublin, from the National Botanic Gardens, Moxie Studios, and inner city Dublin, to Dún Laoghaire Pier and Signal Arts Center. Well-established city center spaces like the Gallery of Photography and the National Photographic Archive, key constituents of Photography in Ireland, are essential to the experience, offering consistently great exhibitions and a broad selection of parallel events. Throughout the programming and curation of events, the festival wants to engage and support alternative organisations and spaces, like Exchange Dublin, ‘a new collective arts centre in Temple Bar run entirely by young people’, or The Complex, servicing the inner city with a varied Arts programme. 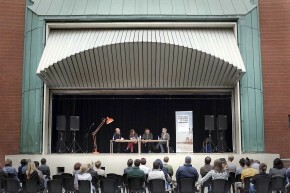 Such initiatives enrich the cultural dialogue in the city, and inspire others to participate. 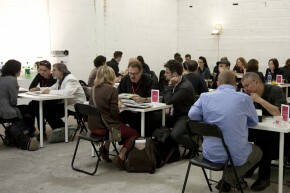 An essential part of the programme is the Book & Magazine Fair, The Library Project, and the portfolio reviews, as much as a series of workshops and talks developed around a proposed theme. Our catalogue and dedicated website make it easy for everyone to plan their visit ahead and get to see many exhibitions every day. There are also free guided tours during the festival, though they need to be booked. PhotoIreland is an organisation dedicated to stimulate a dialogue around Photography in Ireland. 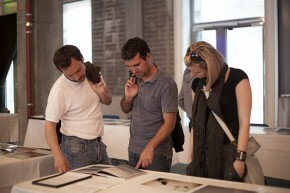 In 2010, we launched Ireland’s first international festival of Photography & Image Culture: the PhotoIreland Festival. We celebrated Ireland’s first Book & Magazine Fair in 2011, dedicated to Photography. It was the germ of ‘The Library Project’, a unique public resource library focused on the photobook opened this year. Our work continues outside the festival period with a varied programme that includes events like ‘Après Paris’. Stay in touch: subscribe, follow, tweet, and participate!